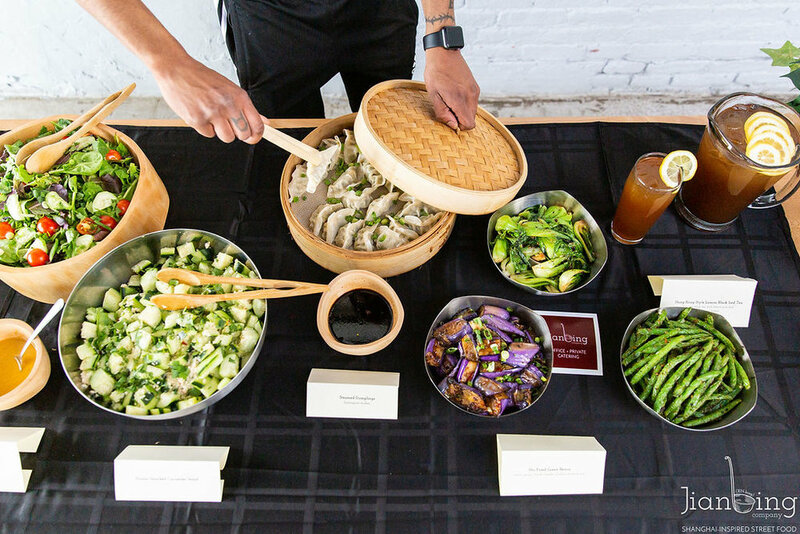 Make your next office or private event unforgettable with our unique, made-to-order street food experience. 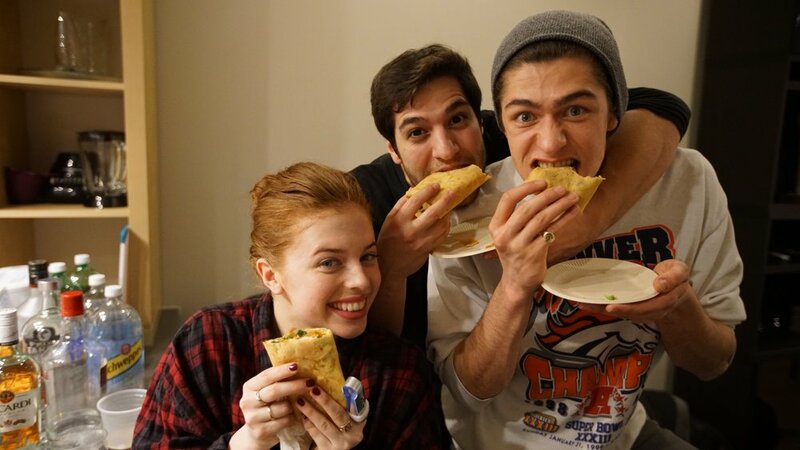 Our performance catering service offers a unique, engaging, and delicious dining experience with a menu made fresh on-site. Guests watch our chefs prepare our unique food on site, for an exceptionally fresh and unforgettable experience. 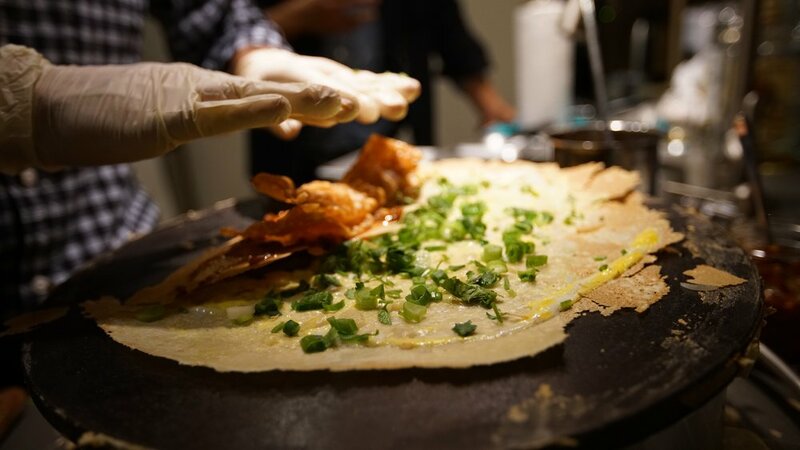 Every jianbing is prepared in 90 seconds, however your guests want it. 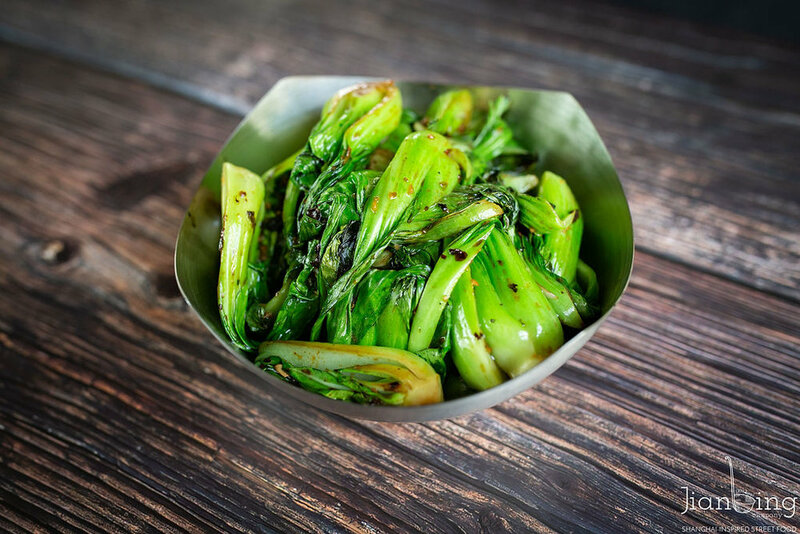 We make our batter, sauces, proteins, and sides from scratch, using traditional recipes from Shanghai. 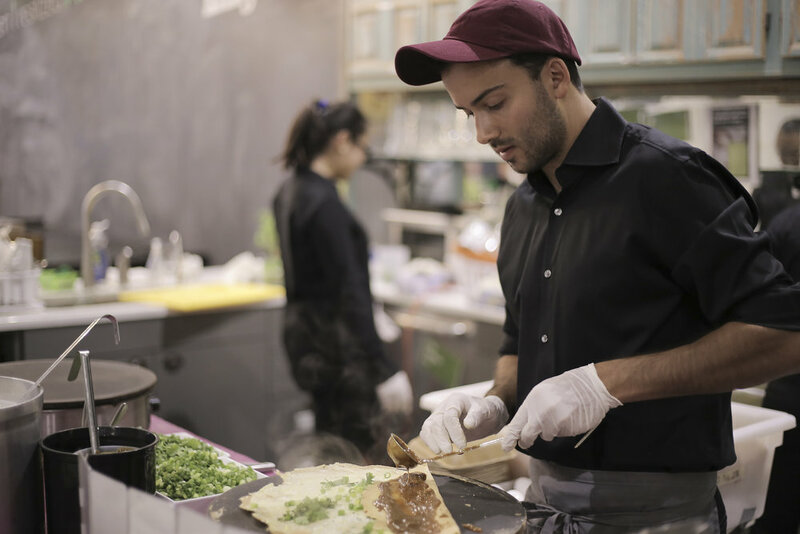 We bring everything required to provide an exceptional food experience for your guests. After service, we'll make sure the service area is 100% clean and ready for whatever's next. Contact us today for a custom quote! We'll work with you to put together a menu that perfectly fits your event and budget. 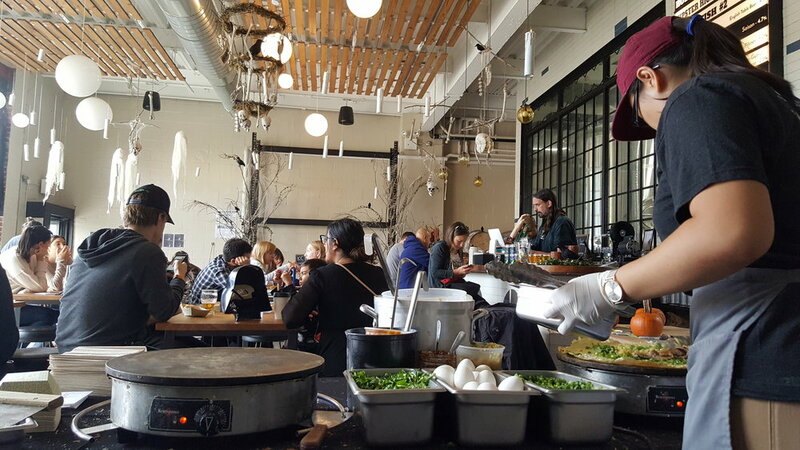 "The entire Jianbing experience was a delight: everyone on the team - from ordering to setup to service - was a joy to work with, and the jianbing was insanely delicious. 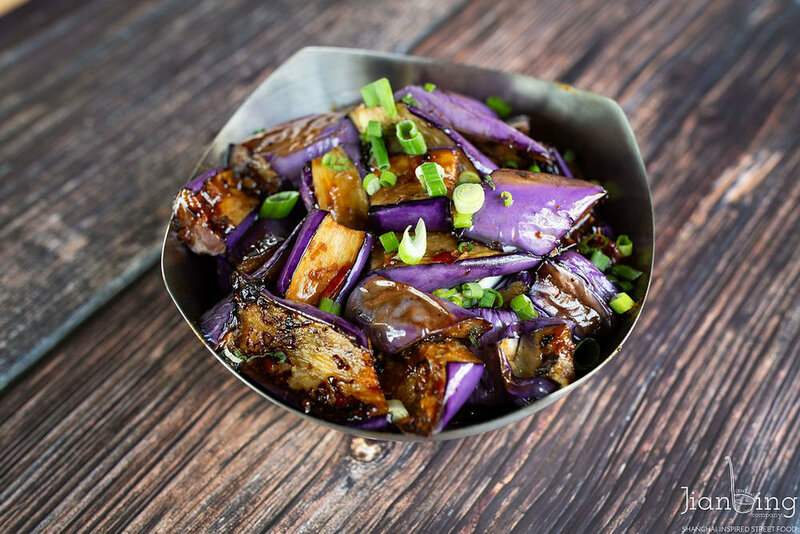 Everyone in our office could not stop talking about how much they loved the food...and now they want to know when we will be ordering again!" 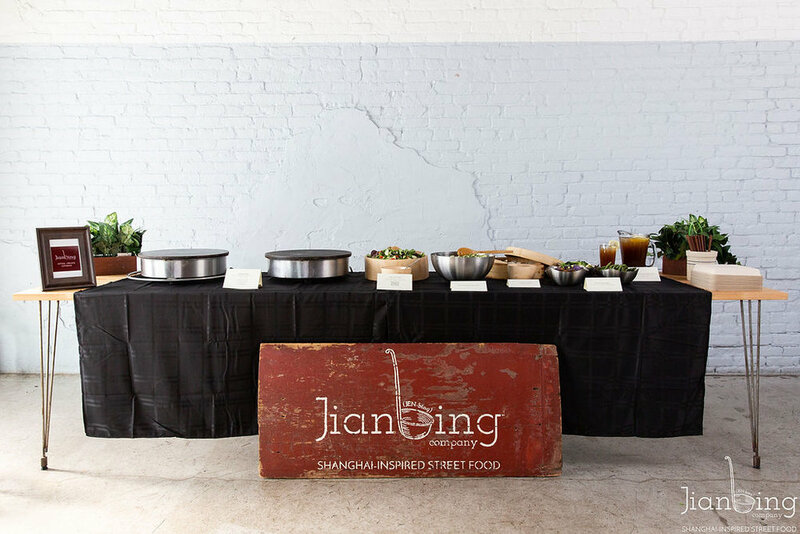 "Jianbing Company catered our annual investor cocktail party, and they were a huge hit. Their level of professionalism and courtesy with our guests exceeded our expectations, and the food was downright delicious and terrific entertainment."